Commission for NFTS graduation film directed by Ewa Luczkow. Currently in production. I built these head cores for an NFTS graduation film directed by Ewa Luczkow, which is currently in production. 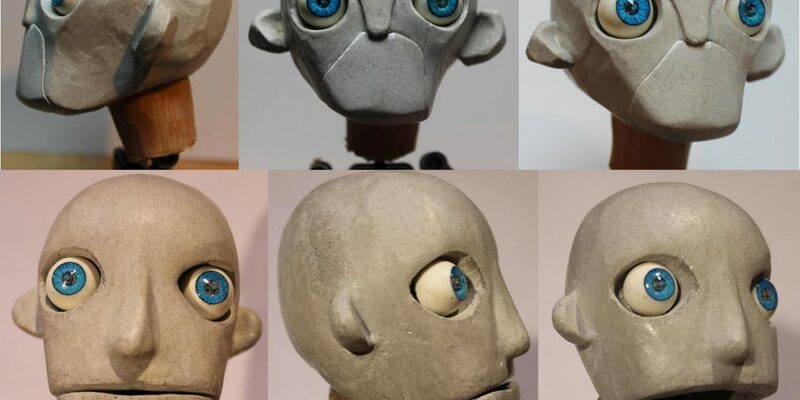 The head cores are hollow resin casts, the necks are hollow silicone pieces and the eyes are magnetic and cast in a combination of polyurethane and polyester resin. 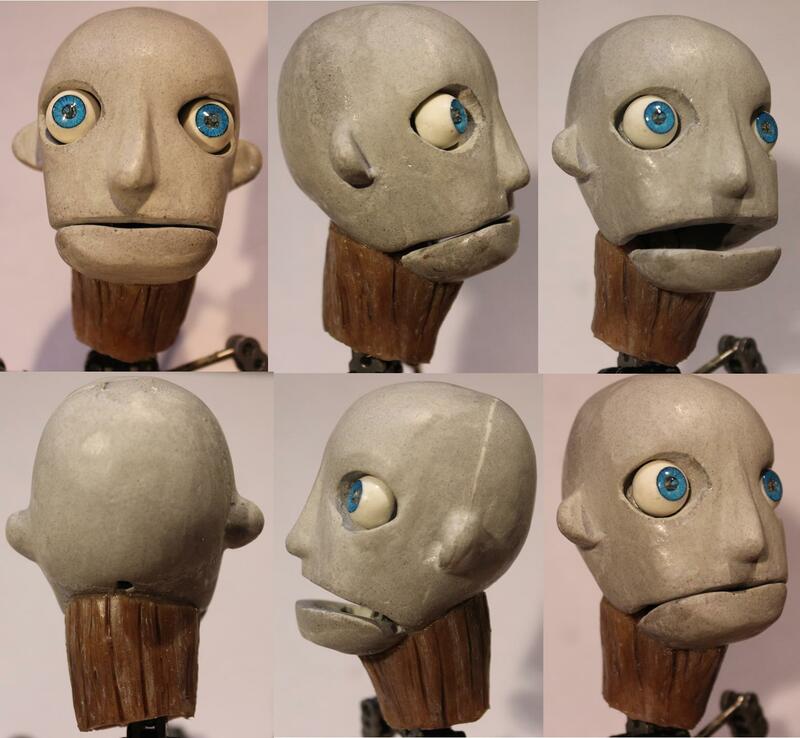 The top picture is the head for the main character Mabil, for which I made twenty fitting magnetic mouth pieces onto which Ewa later sculpted the different mouth shapes. 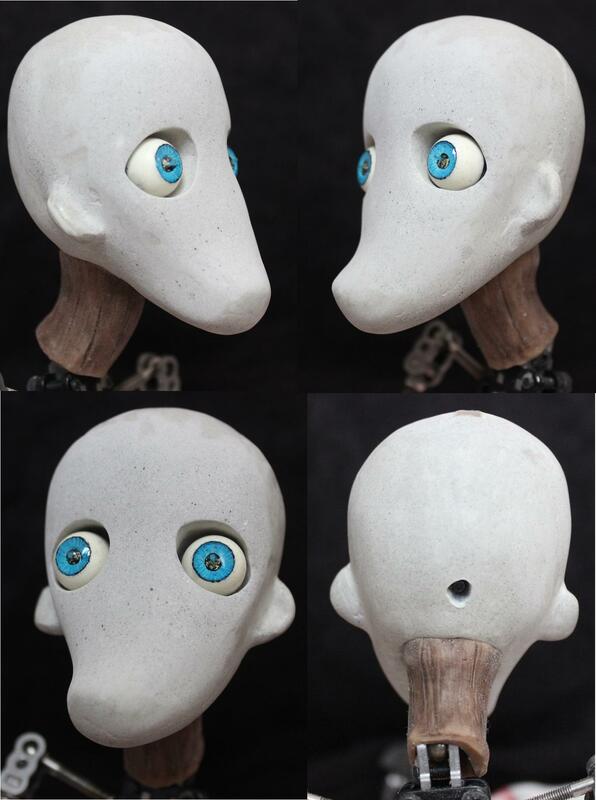 The picture on the bottom left is for the character Dagny and is a more simple hollow core with magnetic eyes and and a silicone neck piece. The bottom right is for the character Viktor, that needed a moveable mouth. 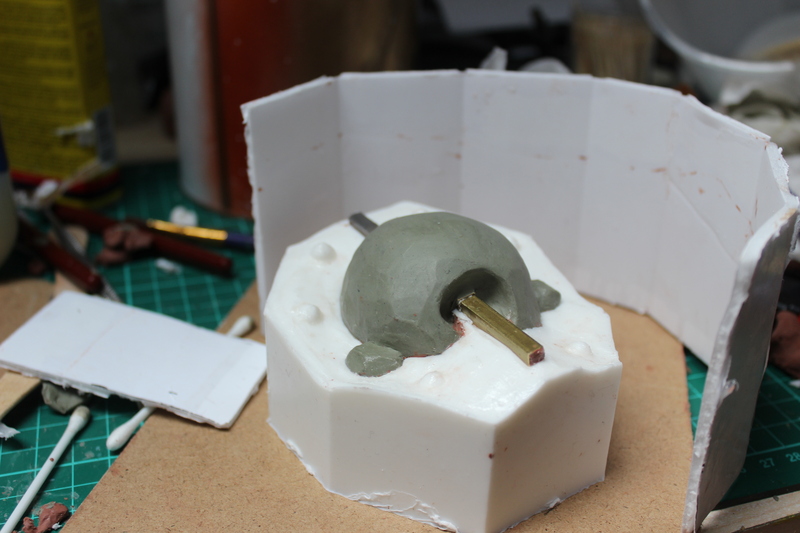 For this I built a joint in the armature under the resin. 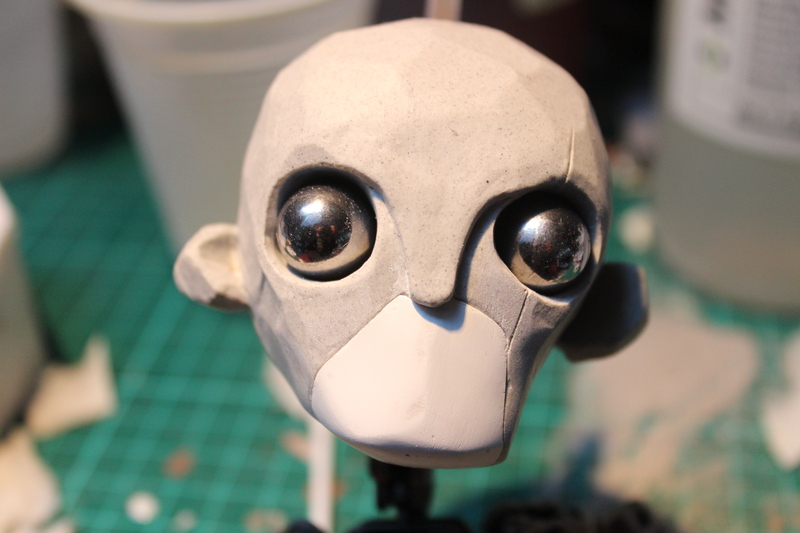 The heads were sculpted over, painted, and given all final details by Ewa. More images with details about the proces are in the gallery below. 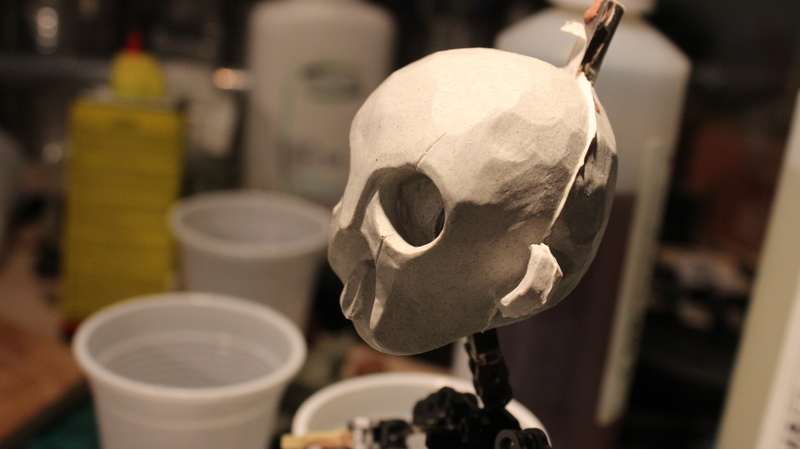 For the head cores I first made an adaption to the neck part of the armature, with an extra joint and K&S fitting for the head, plus the extra jaw joint for Viktor’s head. 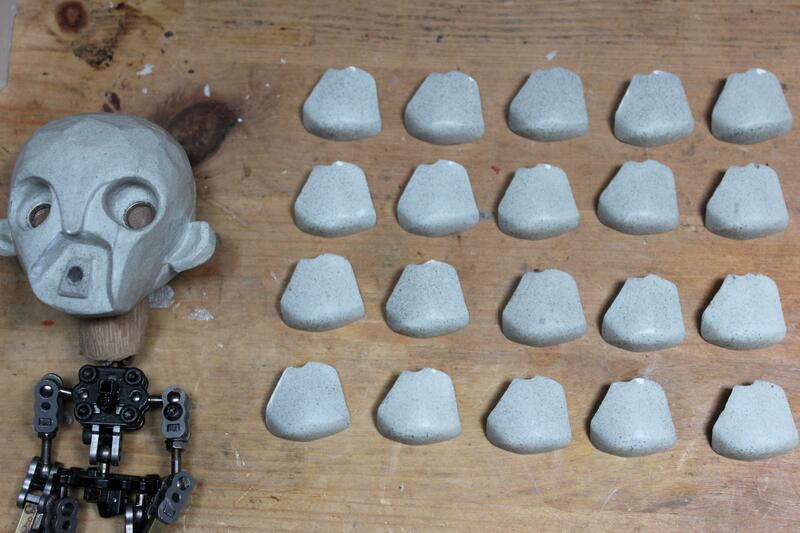 The head cores were first sculpted in clay, then moulded in silicone and finally cast as hollow resin. 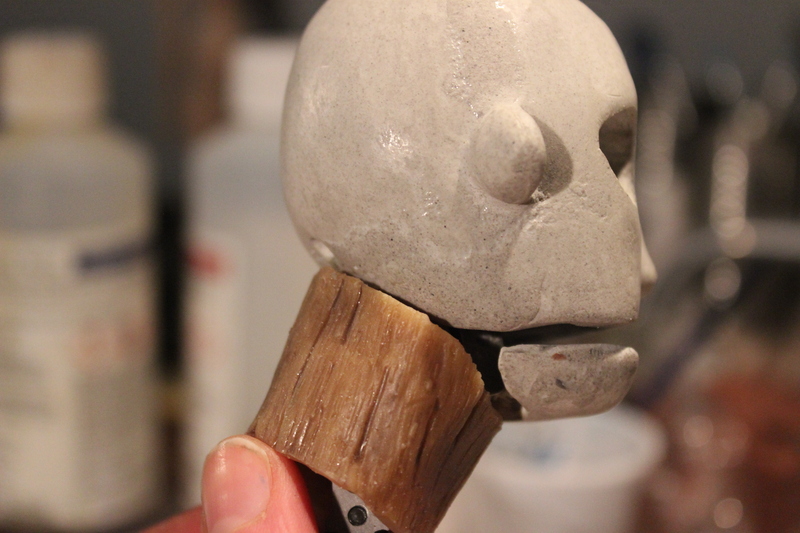 The neck pieces are hollow silicone, with clay sculpts moulded in plaster and the eye sockets have magnets to fit the animateable eyes which were machined, moulded, cast and painted. 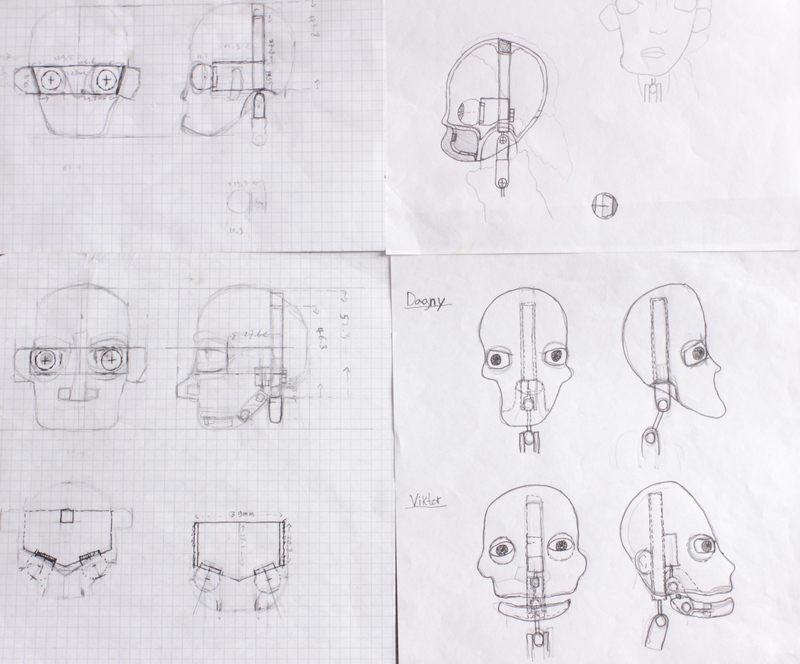 Technical drawings for the head cores. 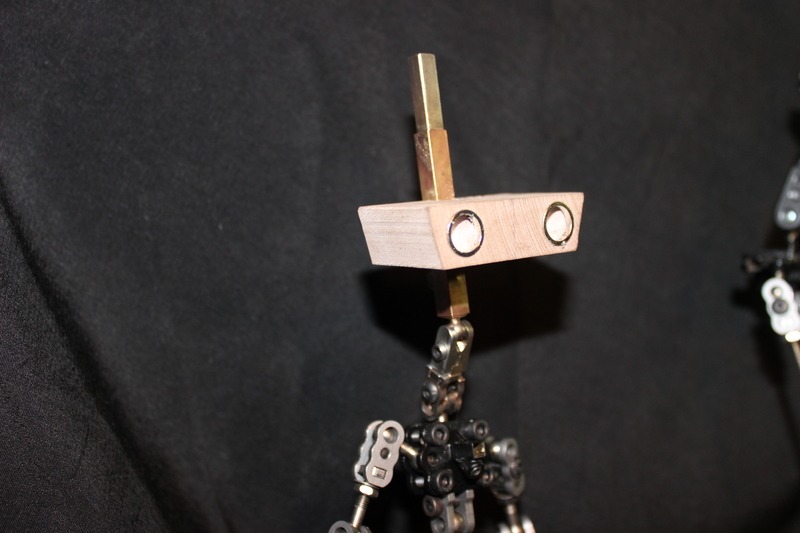 Armature inside Mabil's head, with added neck joint and magnetic eye socket. 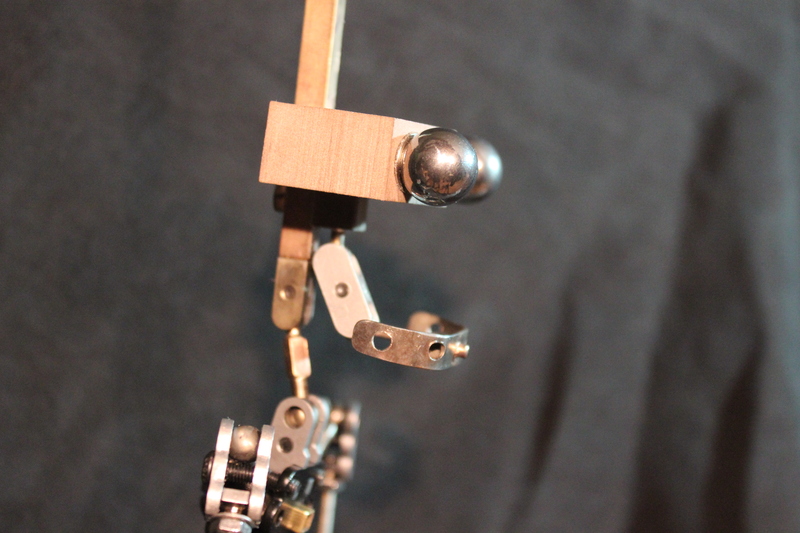 Armature with jaw joint and magnetic eye socket for Viktor puppet. 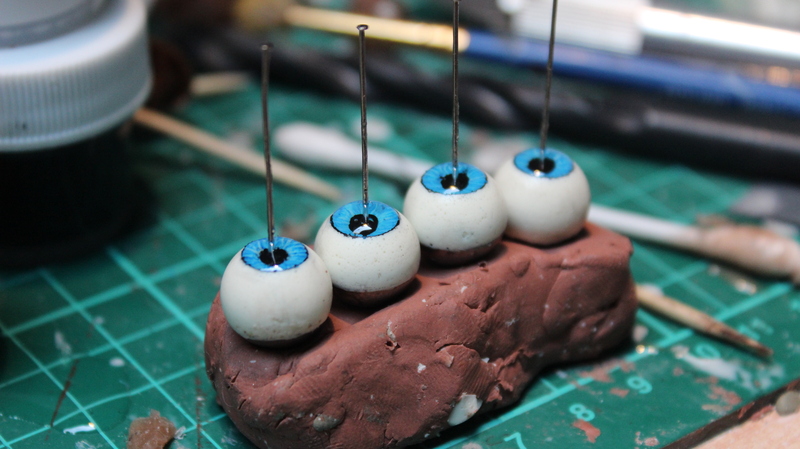 Eyes in progress in different stages: steel balls soldered on rod, turned down on lathe & resin test casts. 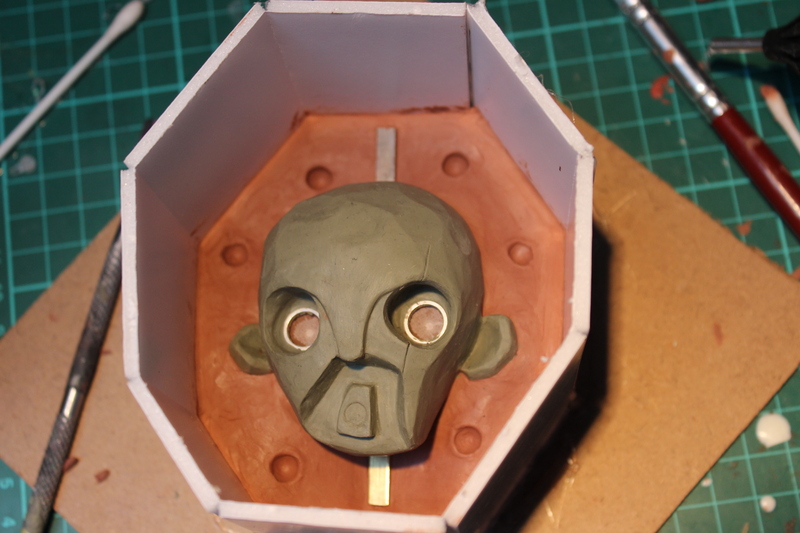 Mabil clay sculpt in mould set up, ready for moulding. 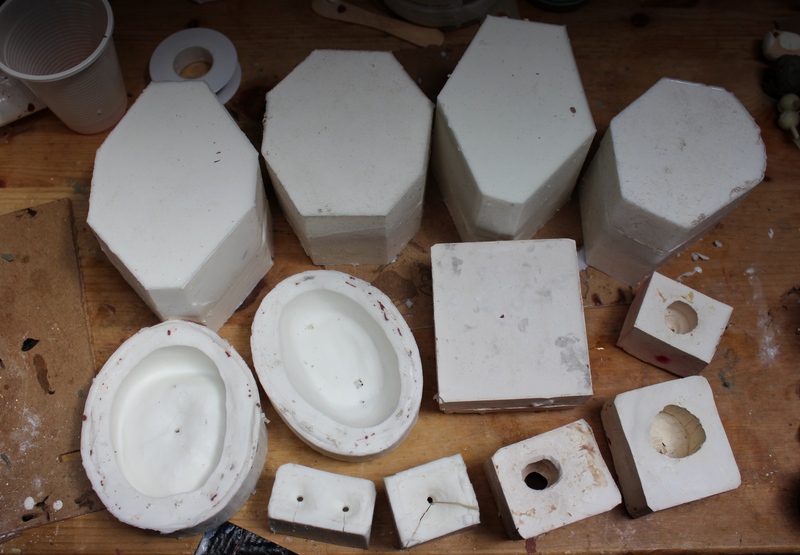 Mabil silicone mould in progress, ready for moulding second half. Mabil Resin cast fresh out of mould, before cleaning up seams. 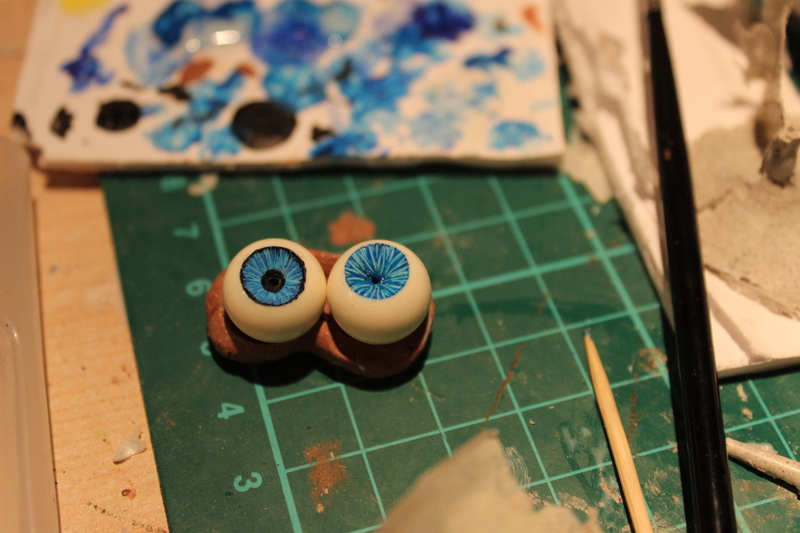 Eyes in progress: resin cast around steel bottom, drilled and painted with acrylics. 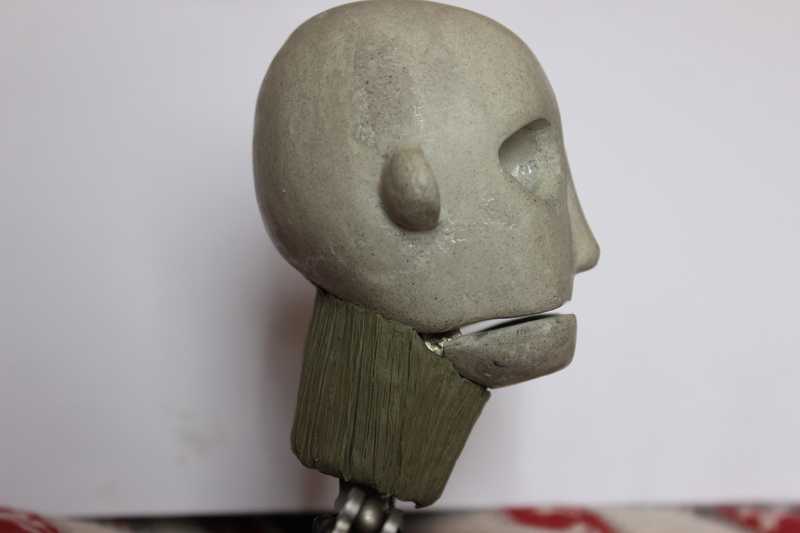 Viktor resin core with neck sculpt. Viktor resin core with finished painted silicone neck piece. 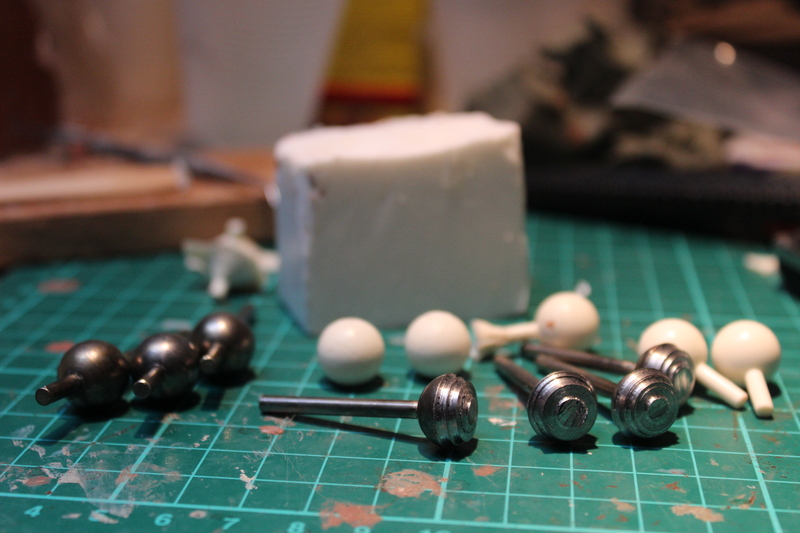 Mabil's finished core with the steel balls later moulded to make the eyes and with the milliput master mouth piece which was later moulded and cast in resin. Mabil’s head with magnet for mouth pieces. 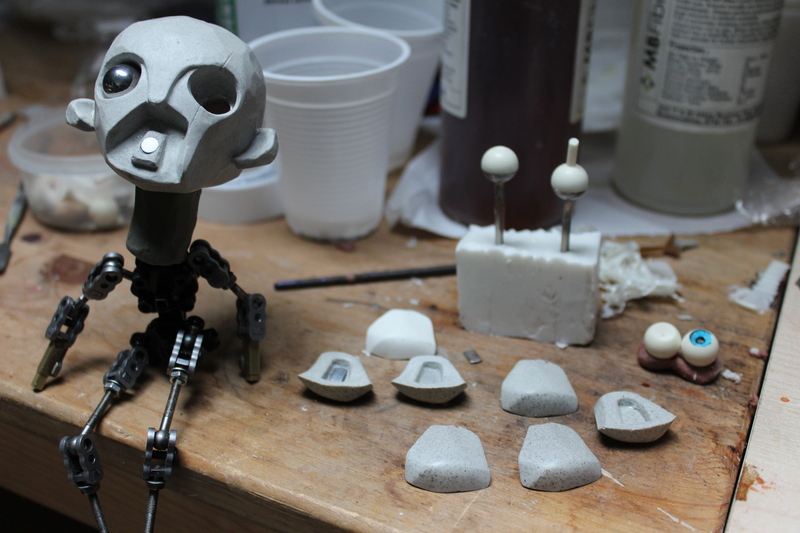 Magnetic resin mouth pieces in progress. In the back, eyes in progress. Mabil's finished head core with all the finished mouth pieces.